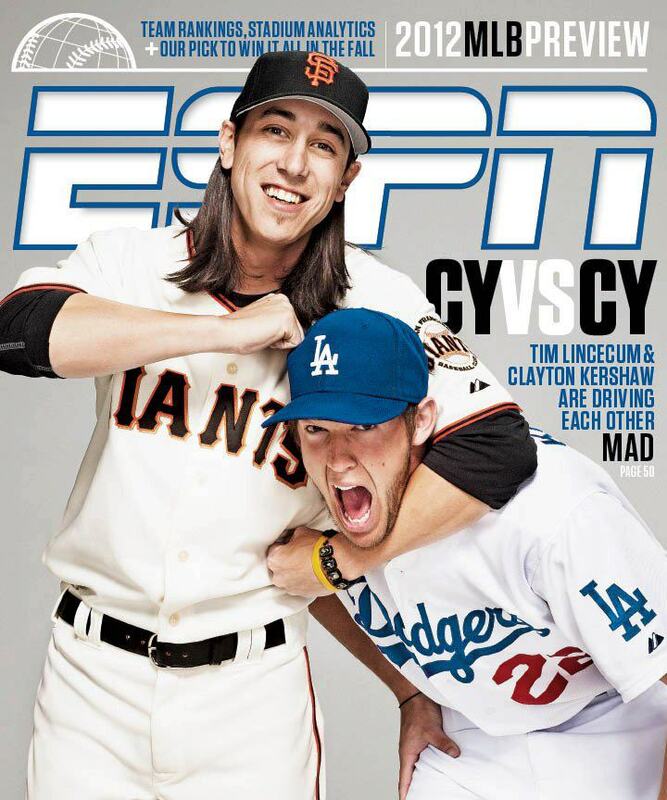 This evening I picked up the latest ESPN Magazine, featuring Timmy Lincecum — and some other guy — on the cover. It’s suitable for framing, so colleagues should expect to see it proudly displayed on my desk next week. Early in my career, I worked in the institutional retirement division of a large financial services company. While there, I stumbled across a survey suggesting that around 3% of working Americans are relying on the lottery for retirement income in their golden years. It wasn’t a joke. That 3% was serious, and seriously deluded. The guy in front of me at the newsstand tonight was apparently among the deluded. He did not waste his money on magazines with cover photos of eye candy. He bought 40 — that’s 4-0 — lotto tickets. The funniest part was, the clerk thought he wanted four tickets, and asked for $4. The customer looked at him like he was completely nuts. I reassured myself that buying 40 lottery tickets is a pretty bad financial plan. I contribute to a 401(k) because I am responsible and I live in the real world. But that doesn’t stop me from dreaming of what I’d do if I ever won the lottery, every time I play. In case you are wondering, I would take the lump sum payment. Pay a lot of taxes. Stalk homeowners on Liberty Street in San Francisco until one of them agreed to sell his house to me. Three words: Buy Season Tickets… in the Giants dugout AND on the team plane! Fund a memorial bench in Princess Street Gardens in Edinburgh, Scotland. Make donations to my alma maters. You know who you are. Give huge wads of cash to my parents… although I still doubt it’d erase my debt. Alert Planned Parenthood. BIG check coming their way! Buy a pug puppy, and take him with me all over the world. I’ll check the lottery numbers tonight, but I fear I have jinxed my chances of winning with all this blogging. Which means it’s back to work on Monday. The Giants and pug puppy will have to wait. And about those lotto spending plans… I think you’ll have to win twice to realize all those dreams! Millions don’t buy what they used to! If I win, I’ll visit you in Oxford… but only if i get to stay in the little house. I still covet the little house. Hahahaha. Just checked my lotto ticket. I didn’t get even one number. I mean, not even the right number, in the wrong spot. I don’t think I could have had two less successful lotto numbers…. Oh my god… tonight at the bodega. I NEED 40 LOTTO TICKETS!